The first ten or fifteen years of a computing era is a period of chaotic experimentation. 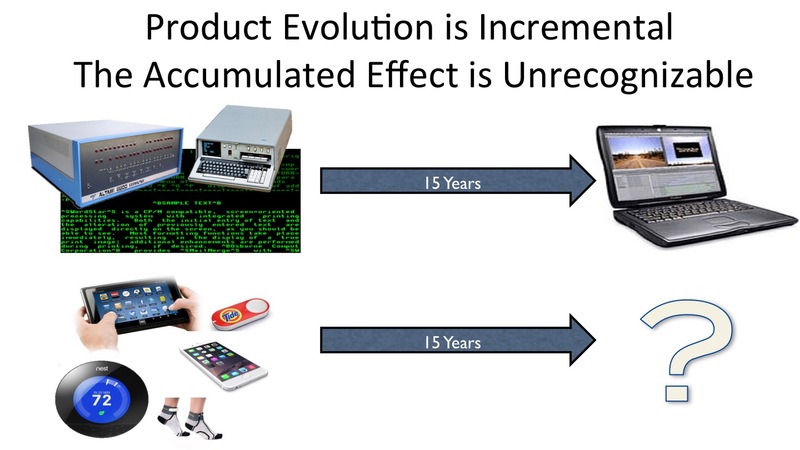 Early product concepts rapidly evolve via both incremental and disruptive innovations. Radical ideas are tried. Some succeed and some fail. Survival of the fittest prevails. By mid-era, new stable norms should be established. But we can’t predict the exact details.